Both at the stage of preparations and during the construction the Czech researchers take part in the work groups set apart to prepare the research topics for the future JHR. In 2014, a young Czech researcher presided over a JHR work group, which had to prepare the fuel research priorities and another held membership in the work group doing the same for material researches. Such participation introduces the young researchers into the international community along with all the related benefits. 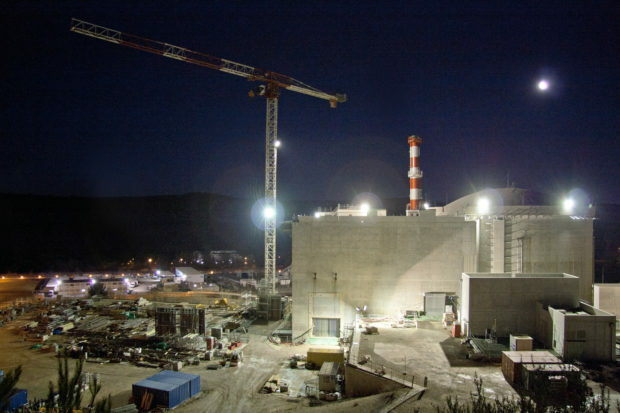 One of these impacts took a form of invitation to the EURATOM Program’s consortia. At the phase of construction, the ČR’s involvement in the JHR is significant for the Czech industry that can take part in the public contract tenders for the individual parts of the hot cells. In this way, JHR helps make the Czech companies better competitive. At the phase of actual operation the ČR’s involvement in this research infrastructure will have impact on excellence of the research to be carried out on the reactor and this will influence the level of knowledge and quality of the research carried out in the ČR in general. The Czech nuclear power plants will have access to the research results that can be used in favour of efficient and safe running of their equipment. The research organizations, which will take part in the research within their accesses to the said infrastructure, will face the option to enter the international community of both, the research organizations and the power plan owners, and – if proving themselves as reliable and good partners – also to be awarded with the research contracts by the international power generating industry. 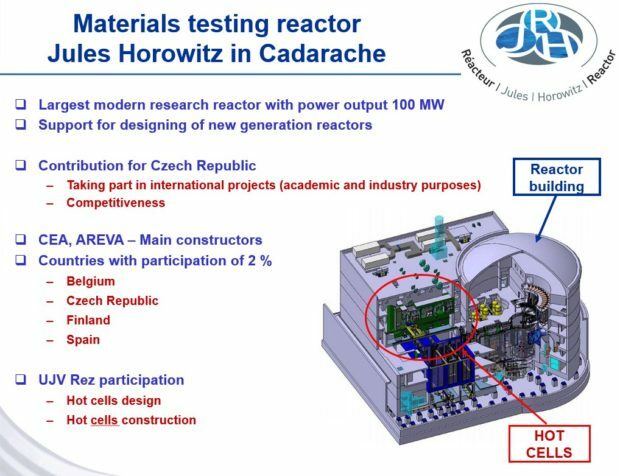 With regard to the fact that not only the research, but also the student and PhD candidate trainings will be underway within the JHR operation, the JHR will also find its reflection in the level of the Czech university education in the field of nuclear power generating systems, making it comparable with the worldwide standards. The Czech national program will be made accessible on the basis of the proposals to be put forth by any of the research organizations in the ČR in the form of a public open challenge (on a CVŘ web, ERA portal, etc. ).